Eric Alley has over seven years of experience in digital audio architecture, validation, enabling, design, and analysis. Mr. Alley’s career began at Intel where he managed the vendor relationships for CODECs, DSPs, MEMs microphones, and audio amplifiers across a broad range of platforms. His focus was to ensure that OEM products and reference projects met schedule and closely matched MRD specifications. At Sound Research Mr. Alley programs the Klippel Transducer Measurement System for the US and provides transducer measurement data. His responsibilities include co-developing and measuring with the Sound Research EAMS headset analysis platform. 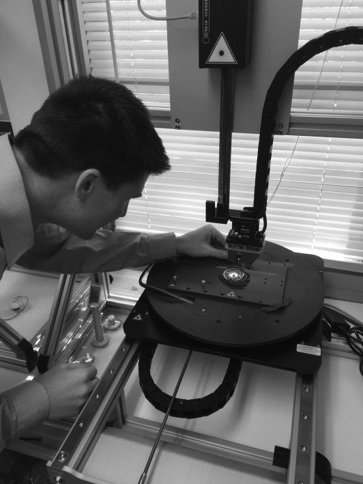 Mr. Alley also develops procedures and performs repeatable audio measurements and manages competitive teardown analysis for audio products. Eric has experience in research and embedded systems with publications including “A Hands-on Approach to Demonstrating Hardware/Software Tradeoffs in an Embedded System Design” for the ASEE; and “Work in Progress – An Agile Embedded Systems Design Capstone Course” for IEEE.